Chennai who are in sixth position on the points table has a lot at stake to enter the semi-finals. Bengaluru: The much-awaited match of Premier Badminton League (PBL) has finally arrived. Bengaluru Raptors are now all set to take on Chennai Smashers in their last Tie. 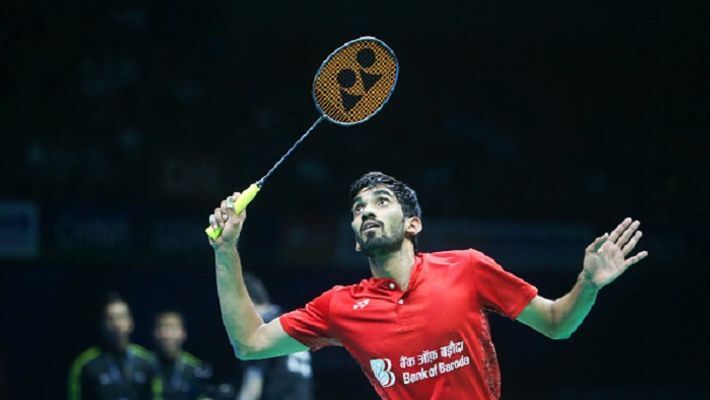 On Tuesday, Bengaluru Raptors' skipper, Kidambi Srikanth led from the front against Mumbai Rockets to keep his team in the hunt for a semi-final berth and is now all set to take on Chennai Smashers in Bengaluru. Chennai who are in the sixth position on the points table has a lot at stake and need to win big to enter the semi-finals. The match against the two rivals will be held in Bengaluru's Kanteerava Stadium at 7pm on Thursday. Bengaluru needed a minimum of four points to move into the top 4, and they were successful in their attempt as they won the first three matches, including a Trump, at the Kanteerava Indoor Stadium to knock the Pune 7 Aces out of the semi-final race. Kidambi Srikanth, Mohd Ahsan (Indonesia), Hendra Setiawan (Indonesia), Sai Praneeth, Mithun Manjunath, Lauren Smith (England), Sanjana Santosh, Marcus Ellis (England), Vu Thi Trang (Vietnam), Nygun Tien Minh (Vietnam). Sung Ji Hyun (South Korea), Gabby Adcock (England), Rutaparna Panda, Chris Adcock (England), Sumeeth Reddy, Saili Rane, Rajiv Ouseph (England), Parupalli Kashyap, Or Chin Chung (Hong Kong), Chong Wei Feng (Malaysia).